How often have you been tempted by an interesting news title in the Facebook News Feed and clicked on it only to find later on that it is a spoof? Either you had a good laugh or felt irritated by the distraction. Considering the confusion the spoofs or satirical posts create, FB is trying a new feature that marks all such news items as satire. Facebook is known to take its users’ feedback seriously and work on them. This time it has decided to act on the plea of several users who wanted to identify satirical news items from real ones and decide whether to read them or not. 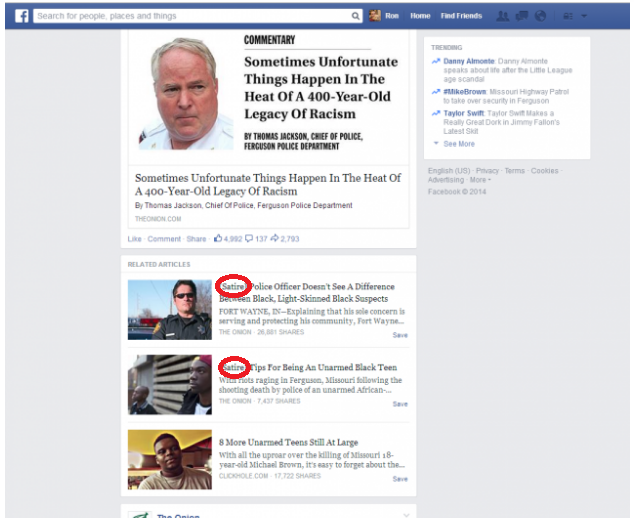 It has been found that articles published under the related stories field in the News Feed section are marked with a small tag called “satire.” Facebook is running the test for almost a month now and a lot of satirical sites are being earmarked by it. As always, this new move from Facebook has received a lot of attention and contradictory comments. While the users welcome the effort many sites fear to lose their popularity. Have a look at the below image that clearly displays the posts marked as "Satire". Adwords Call Extensions - How to Get Started?